Yr 5 &6 High 5 Netball Tournament. The year 6 tournament took place at the Priory school on Monday. Our team of girls consisted of Abi Trenchard, Lily-Kay Hoather, Millie Shepherd, Rebecca Dale, Violet Prins and Mia McGilvray. The girls played a total of 3 matches and each match was extremely fast moving. The girls played with real determination winning 2 of the 3 matches they played, winning one of them 8-2. The year 5 tournament took place again at the Priory on Wednesday. The team consisted of Olivia Trenchard, Susie Goodman, Skye Wheeler, Molly Haddon, Fleur Cannon, Sophie Copus and Zara Tyson-Davies. 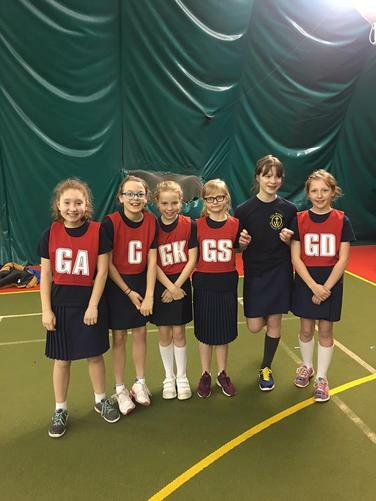 The year 5 girls had shorter matches to play than the year 6 girls but had a total of 6 matches to play back to back. Again the games were fast moving and the girls played fantastically, winning the first 3 matches. 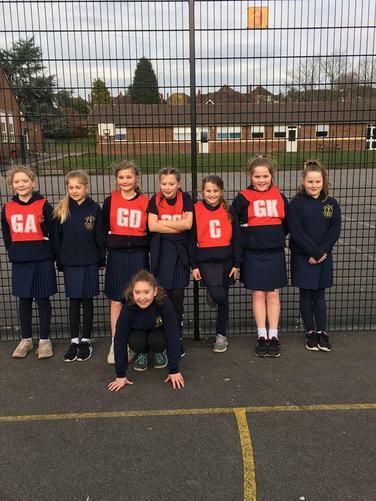 Both the teams we took were amazing to watch, putting together all the things they had been learning at netball club, and their teamwork really shone out! They were all a pleasure to be with and a real credit to the school and it was lovely to have had such massive support by all the parents who came along to cheer the girls on. Well done girls, we are all very proud of you.